SummerSlam is this Sunday. It's traditionally WWE's second biggest show of the year, with this year's edition being relatively ho-hum. The booking throughout the company has been somewhat less than desirable since WrestleMania, and though SmackDown has turned a corner compared to where it was at the start of the year, it's fallen flat in its build to what's supposed to be the biggest party of the summer. And the less said about the mess Raw's been in, the better. One ought to note that irrespective of all the criticism levied at storylines being repetitive, the fact remains that pro-wrestling is a rather unique blend of sports and entertainment—one in which the very same feuds can be presented in a different manner, by newer performers. Speaking of which, the company can right the ship at SummerSlam. If done correctly, the pay per view can act as a much-needed reset on the entire landscape of the main roster. Failure to make these decisions will guarantee that the doldrums will continue throughout the end of the year and into the Royal Rumble, and possibly all the way up until WrestleMania 35. Tag team wrestling was one of WWE's biggest selling points last year. Much like things in general, the division has fallen off a cliff this year. On SmackDown, the Bludgeon Brothers have reigned supreme since April, and while they're credible as champions and bring it in the ring, the act just hasn't worked out. The booking has been a mess with long absences, repetitive jobber matches, and no character evolution. No team has really been built up to dethrone them, but the bigger detriment is letting this situation continue. The New Day, stale as they are, can at least be challenged by the likes of The Bar and The Usos again. On Raw, the situation is even worse. The B-Team's comedy act was never going to last long, and whatever semblance of a welcome it had when it started, it's well past its sell-by date. Though they have been dragged through the mud, The Revival is a team that can slowly revive the prestige of Raw's tag team titles, if given the chance. 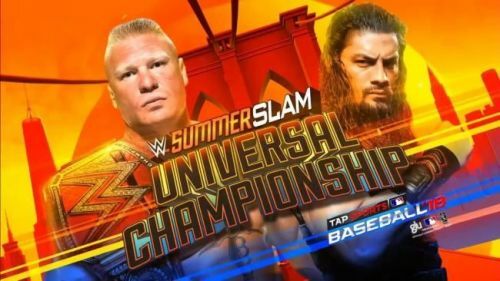 What will the match order be at SummerSlam?